KVPY Answer Key 2019 - The conducting body, Indian Institute of Science (IISc) Bangalore will release the final answer key of KVPY 2019 in the month of December 2019. However, tentative KVPY answer keys will be released by the third week of November 2019. KVPY 2019 answer key will be released in online mode. KVPY 2019 is a national level programme held for three streams which are SA, SB and SX and registration will begin from the second week of July 2019. The KVPY answer key 2019 will be released for all the three streams. 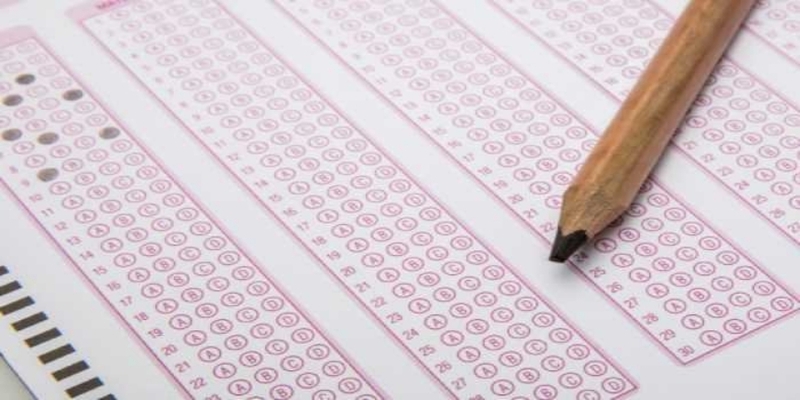 Those candidates who will appear in the Kishore Vaigyanik Protsahan Yojna examination can check the answer key to match their answers and predict their scores. After the declaration of final answer keys, the officials will declare the result. Last year KVPY aptitude test was held on November 4, 2018. The answer key along with the result was released on December 20, 2018. This year also, it is expected to follow the same trend. Read below to know in details about the KVPY answer key 2019, cutoff, exam pattern, result below in this page. Note: In case of any discrepancy found in the KVPY 2019 Answer Key, Stream SA, SB, SX, candidates can contact the authority. Candidates have to click on the “Answer Key” link of KVPY 2019 given below. The answer keys along with question papers will be displayed on the screen. Candidates will be able to download the question paper of the respective stream along with the KVPY 2019 answer key. The question paper will be available in English/ Hindi medium and as per their suitability, candidates can download it. After downloading, they will be able to compare their responses with the answers available in the answer key and calculate their probable scores. After the release of provisional answer key of KVPY 2019, if candidates find any discrepancy, they can send their queries to the authority. The authority will re-verify and final KVPY answer key will be released for the candidates. IISc Bangalore will announce the KVPY 2019 cutoff in the month of December 2019. Last year, it was announced on December 20, 2018, so, it is expected the same this year. A separate cutoff is released for the three streams. KVPY Cutoff marks is the minimum qualifying marks required to clear the exam and candidates will be called for interview. The final KVPY cutoff will be released after the interview. Those who qualify in the interview will be awarded the fellowship. For part 1, students must compare their answers with the KVPY answer key 2019 and have to add 1 mark for every correct answer. Out of the total, deduct 0.25 for every incorrect/ unattempted question. In Part 2, candidates have to add 2 marks for every correct answer and deduct 0.5 for every incorrect/ unattempted question. Compile the marks in both parts which will be final score. For Part 1, add 1 mark for every correct attempt in the three sections attempted and deduct 0.25 for every incorrect/ unattempted question. For part 2, add 2 marks for every correct answer from the two sections attempted. From the total, deduct 0.5 for every incorrect or unattempted question. Compile the marks of both parts to get the final score. Candidates who will clear the written exam and achieve the cutoff score 2019 of KVPY will be called for the process of interview. Candidates who will qualify the interview will be shortlisted and eligible for the KVPY scholarship. Click on the link provided above and KVPY 2019 result will appear on the screen. Find for your roll number. Donwload the file and keep it safe for future reference. Mock test are useful for candidates preparing for KVPY exam. One must first go through the eligibility criteria to be eligible for applying the fellowship programme and start preparing for the exam by taking the mock test. Candidates can also start preparing by downloading and practicing the KVPY previous year’s question papers. Going through the question papers makes one aware of the type of questions asked in the exam.